There are two versions of the Ruffle Stitch – Single Ruffle Stitch & Double Ruffle Stitch. Both stitches are worked in one stitch. This post will feature the Double Ruffle Stitch and a video tutorial from Maggie herself! Working in the front loop AND back loop of one stitch – join yarn with a (slip stitch in BACK LOOP of any stitch, chain 3, slip stitch in FRONT LOOP of SAME stitch, chain 3) around or across a row or round of stitches. 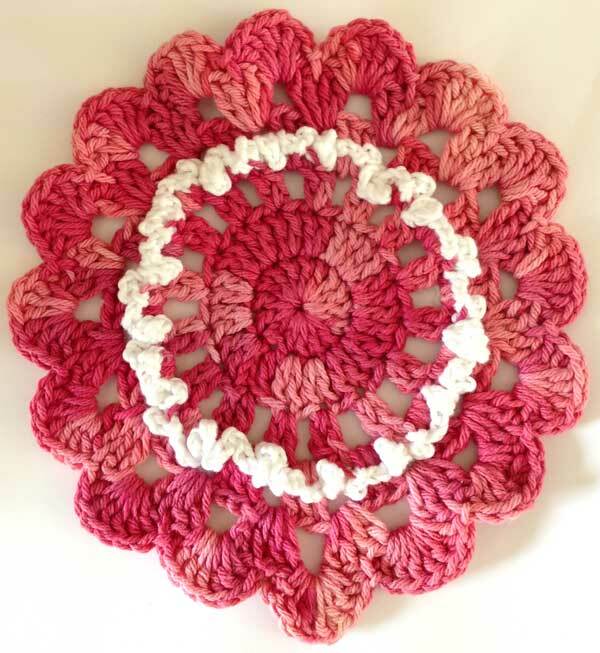 This is the Rose in Bloom Dishcloth – pattern #FD297. The free pattern can be found here. In this Ruffled in the Round Afghan from The Best of Maggie Weldon Afghans, you will use the Double Ruffle stitch and work the slip stitches in the free double crochet on any round you choose to work the ruffle stitch of Round 2. This is a great book with 36 of some of my best afghan designs. 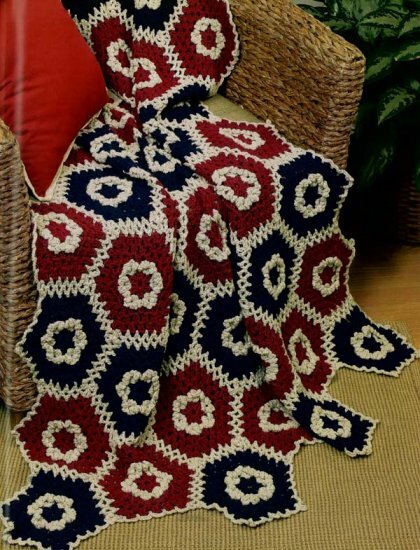 The book comes with signed by me and includes a free pillow pattern to match the Snow Afghan. Ruffled in the Round Afghan – Join as you go technique. Ideas: In this video I show you how to work the ruffle stitch in a crochet design that is not your typical granny square. The ruffle stitch could be worked around the outside edge of your crochet design too. Another idea is to work the ruffle stitch going back and forth between the front and back loop twice each which would give you 4 loops per stitch. 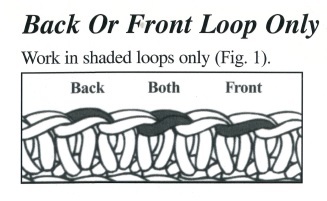 You could also do back loop, front loop, back loop in each stitch for 3 loops per stitch. Try this stitch on hats that go in rounds and skip stitches. 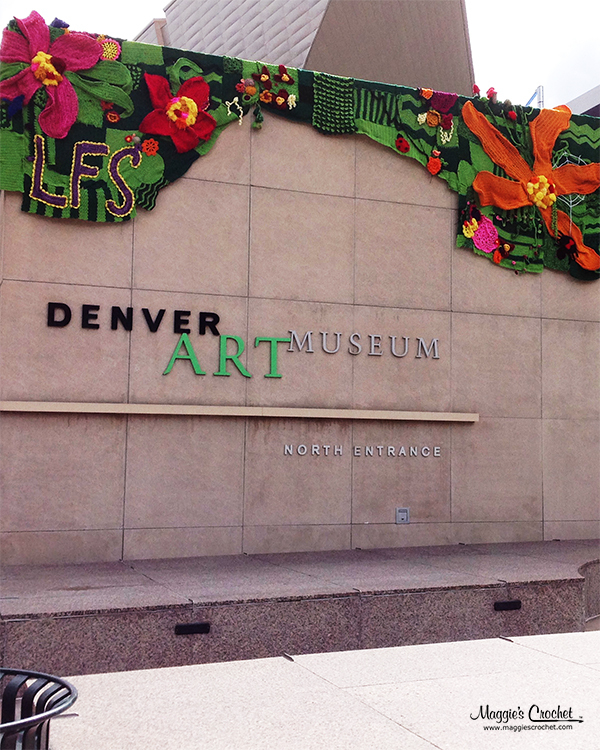 Send me pictures of what you create with the Ruffle Stitch. Here is a video that will help you learn the double ruffle stitch. 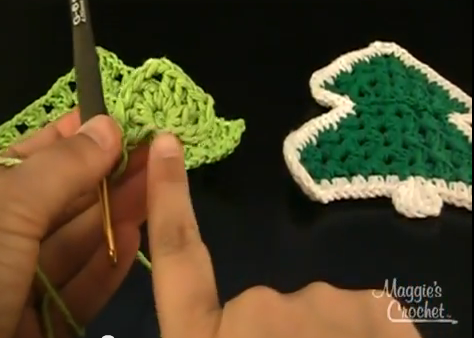 Here is a video that will help left handed crocheters learn the double ruffle stitch. For more how-to videos with Maggie, subscribe to the Maggie Weldon YouTube Channel to receive notifications when new videos are posted. Also, if you liked this blog post on the single ruffle stitch, check out how to do the single ruffle stitch with Maggie.